Do you, like me, check the free from section in every supermarket you visit, to see if there’s anything new and exciting whether or not you need to buy anything that day? If so, then you’ll probably have come across Udi’s, a US manufacturer new to the UK, with products which arrived unheralded at our big local Tesco a few months ago. And then more products started appearing: corn chips and bread. But there’s yet more: someone’s been holding out on us. 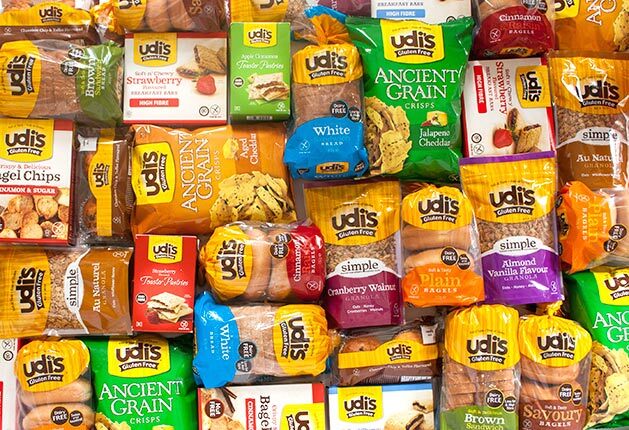 Udi’s sent me some samples of their gluten free products; apparently they also do bagel chips, granola, muffins and ‘pop-tart-like’ toaster pastries. Plus cinnamon and raisin bagels! While we’re not a pop-tart family, we do love a bagel. And those cinnamon and raisin bagels disappeared in a snap. I didn’t get a taste, but I had a very happy daughter! I’ll definitely be hunting out some more of those for her – though I think it may have to be a day trip to Asda where they also stock Udi’s savoury bagels. The muffins are worth looking out for too. Brilliantly, there are two different flavours in one pack (chocolate chip, and toffee) so that the coeliac in the family gets a bit of variety. 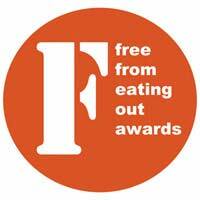 Our coeliac says they are ‘creamy and soft, melt in the mouth and good with milk’. I’ve just seen that Udi’s will be at the Wirral Gluten Free Food and Accommodation Fair, at Ellesmere Civic Hall on 1 March. That’s only an hour or so away from us – I think we’ll make a trip. What do you think of the Udi’s products – have you tried them yet?